Hydrogen peroxide (H2O2), in the vaporised or fumigated form, is a typical bio-decontamination agent for equipment and facilities, especially within the life science industry and hospitals. It is also relevant for industrial processes such as food and drink manufacturing, packaging, transportation and farming. Other agents used in bio-decontamination are ethylene oxide (EtO), chlorine dioxide (ClO2), ozone (O3), peracetic acid, as well as variations of H2O2 and peracetic acid blends. The H2O2 has somewhat replaced the use of formaldehyde, the earlier typical but toxic bio-decontamination agent. Using vaporised H2O2 is an ecological and sustainable way of performing bio-decontaminations as the treatment leaves no residues, only water and oxygen. Vaporised H2O2 is also easy to use, non-toxic to humans, can kill microorganisms at room temperature and is compatible with several materials. These advantages have led to an increase in the use of H2O2 in bio-decontamination. Its use is likely to continue growing in the future. In the UK, the Medicines and Healthcare products Regulatory Agency (MHRA), has stated that H2O2, when well controlled and validated, is a powerful method for all types of bio-decontamination processes, but cannot be used to sterilise critical items. Rubber stoppers, primary packaging materials and additional materials in direct contact with sterile products during pharmaceutical aseptic fillings require other sterilisation methods. Vaporised H2O2 is used, for example, in bio-decontamination of isolators, restricted access barrier systems (RABS) and bio-decontamination chambers and transfer hatches. This equipment is used in the most demanding industrial, pharma and biopharmaceutical activities. Any microbes present in them can potentially cause problems in product quality and human safety, which may cause disposal of products, financial loss and damage to company reputation. Bio-decontamination equipment is used in many different applications throughout the industy, from filling sterile injectable drugs and orange juice to electronics manufacturing. 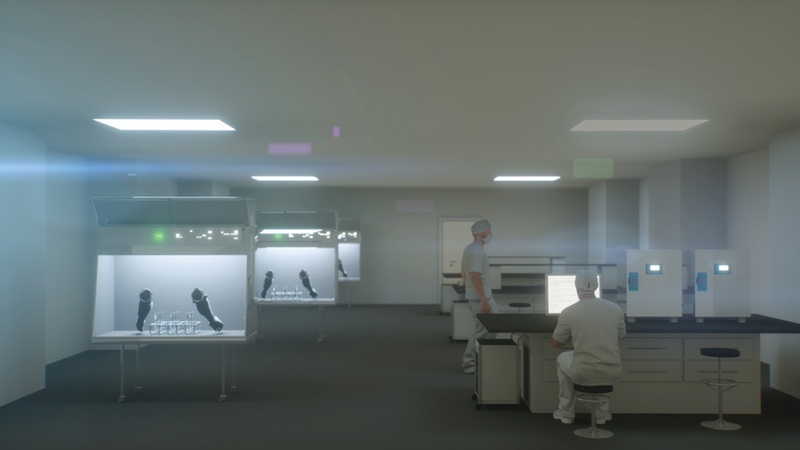 Within the life science industry, these devices are typically used in applications such as material loads entering or exiting controlled areas, aseptic filling, cytotoxic preparations, lyophilisation processes, packaging, sterility testing and pharmacy compounding. Hydrogen peroxide bio-decontamination is also a current practice in bigger areas. When low temperature gaseous H2O2 is applied in a sealed room, it is effective against a broad spectrum of biological organisms achieving more than a 6-log reduction in bioburden. Bio-decontamination conditions in rooms is created using H2O2 vapour generators. There are various vapour generators in the market designed for application in sealed enclosures, rooms and other facilities. Some of them are mobile while others are integrated. These generators can even be included as part of the HVAC system, which allows for the effective generation and spreading of vaporised H2O2 throughout the whole target area. Room bio-decontamination applications with H2O2 range from pharmaceutical, to cleanrooms, to hospital visitor and operation rooms, to emergency vehicles, to virus laboratories, to aerospace applications like aircrafts, to animal farming and even defence applications. Vapour generators can also be combined or integrated with device types such as CO2 incubators, biological safety cabinets or mobile army tents. Gaseous H2O2 is an extremely effective agent against microorganisms and widely used in numerous applications and Vaisala considered this to create a device for this purpose. Based on years of intensive technology studies and the proprietary HUMICAP humidity measurement technology, the company created the PEROXCAP, a new sensor technology introduced in 2017. The PEROXCAP technology, already utilised in Vaisala’s first vaporised H2O2 sensor HPP272, is a capacitive thin-film polymer-based sensor technology. 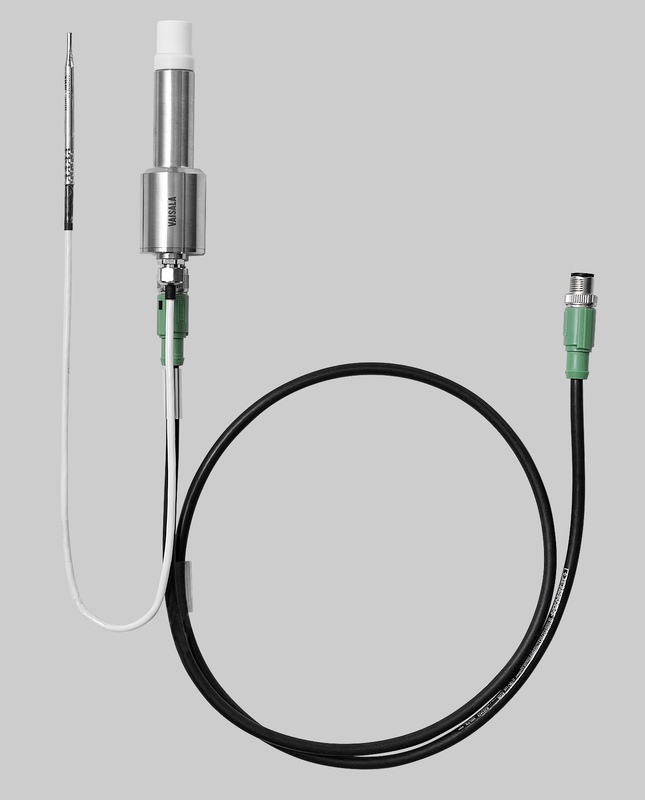 The HPP272 is a small 3-in-1 probe designed for in situ measurements, meaning that the whole sensor element can be directly installed in the measurement environment without the need to take samples with pump and tubing. The HPP272 gives repeatable results and measures accurately not only H2O2 concentration in ppm but also humidity, referring to both relative humidity (RH), relative saturation (RS) and temperature. In addition to this, the HPP272 can output several other calculated parameters. The PEROXCAP measurement uses two composite HUMICAP sensors, one with a catalytic protective layer and one without. Water and H2O2 have a similar molecular structure and both influence the humidity of the air in which they are present. The catalytic layer catalyses H2O2 from the air vapour mixture. Therefore, the HUMICAP sensor with this catalytic layer only senses water vapour, providing a measurement of partial water pressure. The second sensor without the catalytic layer senses both H2O2 vapour and water vapour in the air mixture. Thus, the HPP272 measurement distinguishes between the humidity caused by H2O2 vapour and water vapour. 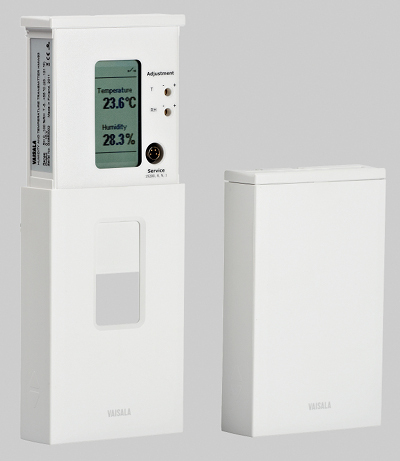 With Vaisala’s algorithms and with the measured temperature value from the process, the difference between the readings from two Vaisala PEROXCAP technology sensors indicates the vapour concentration of H2O2 (ppm), RH and RS. Vaisala’s HPP272 is the first stand-alone measurement sensor in the market that can measure RS accurately in controlled environments containing H2O2. RS is the only parameter that indicates when the bio-decontaminated air mixture starts to condense (the RS value shows 100% RS). During bio-decontamination, the area targeted fore bio-decontamination contains both water and H2O2 vapour. Knowing the on-time RS value is crucial for monitoring the bio-decontamination process. This is the only way to maintain dry processes as some companies want to do it, or in achieving micro condensing or wet processes, depending on the decontamination process targets. RH only indicates the humidity value derived from the water vapour. Whereas the RS measurement value includes both the humidity derived from water and H2O2 vapour. Because of this, the RH value is always smaller than the RS value when there is H2O2 vapour in the process. Based on this same fact, the RH value is never 100% when H2O2 vapour is present. The more H2O2 vapour present in the process, the bigger the difference between RS and RH values. There are older measurement technologies available in the market for measuring H2O2 at ppm and even ppb levels. These technologies measure H2O2 concentration but they do not measure RS. Even parameters such as RH and temperature require separate instruments. These older technologies typically use electrochemical cells, near-infrared technologies and gas analysers using laser technology. Measurement devices play a very important role in real-time monitoring and even controlling the H2O2, as well as reducing the need for biological, enzyme or chemical indicators. The PEROXCAP technology enables accurate and repeatable measurements with the HPP272 probe even in high humidity. Its technology warms the sensor enabling reliable results even in environments where humidity is near saturation. The heating prevents condensation from forming on the sensor. The compact size of the probe is a clear benefit for most customers, because the probe is easy to install for in situ measurements. The cost-efficiency comes into play thanks to the combination of three measurement parameters in one single probe. The stable probe also enables repeatable measurements, which makes passing audits easier. A traceable and comprehensive calibration certificate comes alongside the probe, guaranteeing the probe’s functionality for the next year.